Weird things happen in Australia. I mean…obviously. We have the world’s longest fence. That’s…weird. I like to think a lot of what makes Australians unique is their sense of humour, and I think that stems from the weird stuff that happens to us. 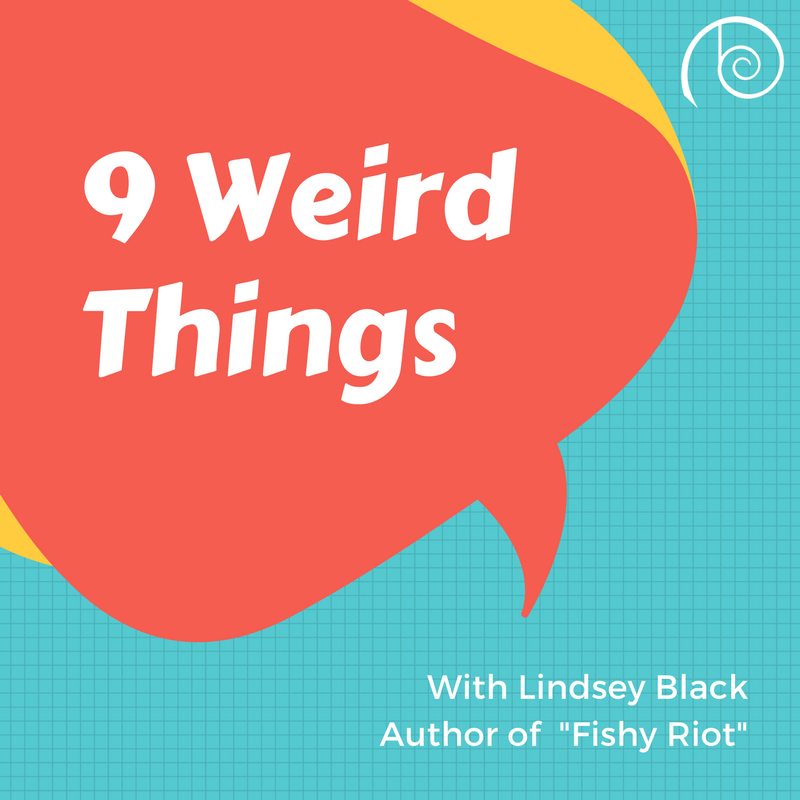 So I thought I would talk about nine ‘weird’ things that have happened to me (or just weird things) that in some way influenced Fishy Riot. 1. I met my partner. This really has nothing to do with the book, even though it has everything to do with it. Because my partner is one of seven children and the oldest is a riot squad officer. He’s obnoxiously tall—6’11—bald and weighs something like 120kg. He’s literally the largest person I have ever met, so I stole his job and his size for the twins. Not his personality though, for which you should be grateful. 2. I’m a music teacher by day. Some students of mine were carrying a Korg keyboard in its nice hard-case, got distracted and walked into a door. One dropped their end and stumbled forward. The other end smashed the second student in the face, breaking their nose and giving them the best shiner I’ve seen in years. The paperwork I had to fill in was spectacular—there were maps involved and everything! 3. In 2015 230kg of methamphetamine worth $156million was discovered trying to enter Australia in 20000 bottles of lemonade. Lemonade! It’s hard to take our epic drug war seriously when it’s being hidden in a shipment of 20000 lemonade bottles. Who the hell needs that much lemonade? How did they not think someone was going to look at that and go ‘oh hey, wait…I don’t think that’s lemonade’? I was, when I learned of this bust, sitting with a friend drinking lemonade. They kindly sprayed it all over me as we watched the news report. Australians love to sit around and talk about things that have absolutely nothing to do with them, but you can’t really blame us when people are shipping lemonade-meth. 4. I’m nervous about sharks. When I did my scuba diving course I was disturbed when the majority of the insurance waiver I signed read something along the lines of ‘if a shark eats me I understand it’s not your fault, or the sharks, because clearly I’m delicious’. So I was horrified when on my first dive we went down and right there was a grey nurse shark. To settle my nerves the guide then took us through a shark nursery. He obviously didn’t know me well. But what’s really interesting is that on average about 3 people die from shark attacks in Australia each year. If you remove firearm murder-suicides, that’s not a very different statistic to the likelihood of being shot dead in Australia. So, I’m just as likely to be eaten by a shark as I am to get shot, and yet people wonder why Australians think being shot is a little weird. Incredibly, more people have been eaten by sharks in the last decade than police officers who’ve died on duty. 5. I love to bushwalk (or, hike, if you don’t speak Aussie). I really, really love to bushwalk. Preferably solo long distance. I’ve done a few great Aussie walks, like the Overland Track, the Great Ocean Walk, the Great South West Walk…you get the idea. My love of hiking stemmed from my parents taking me on long walks as a kid in the rainforest. I’m a waterfall addict. 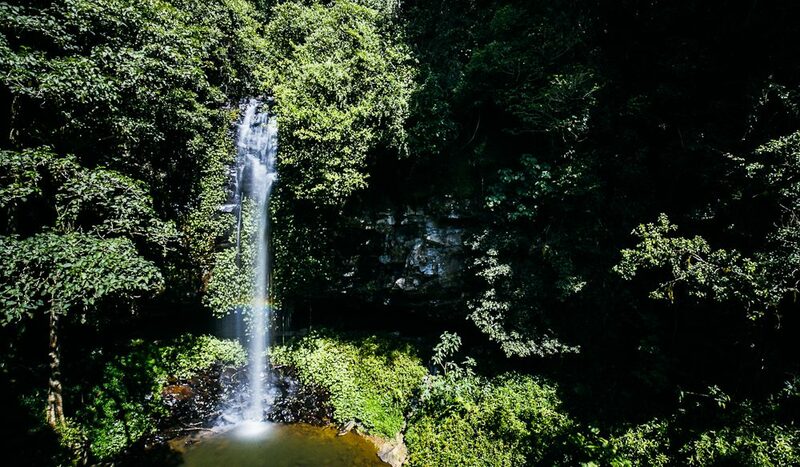 I was once out on a walk in the Dorrigo reserve with some mates when we found ourselves in the odd predicament of hanging off the side of a ravine over the side of a waterfall (it’s really best not to ask and just go with it). My mate slipped and caught himself but rained a nice sized rock on me and I fell. Luckily, it was a waterfall, so other than a big splash nothing truly horrible happened. Oh, except the rock hit my arm and I didn’t know I’d broken it until six months later when I fell off an entirely different waterfall and hurt the same arm. The doctor was suitably amused by my stupidity and I was just happy I didn’t have to have it re-broken to fix it since you know…I’d already re-broken it myself! Awesome! 6. My first phone was a Nokia 3310. Despite having recently upgraded to a google pixel, my 3310 is still fully functional. Which is great, since they’re making a comeback and all, so I’m going to be all cool again and increase my cool-credit with my students who didn’t believe me about how amazing my ‘old dud phone’ was. It’s not that surprising though. Most Australians have a 3310 in the bottom of the kitchen drawers, they just can’t find the charger. Randomly, I’ve had the same mobile phone number since I was 15. That’s crazy. Not one stalker. I feel this says more about me than I would like. 7. Where I live the dirt can kill you. Yeah…the dirt. Melioidosis is a horrible thing, look it up. This has nothing to do with Fishy Riot, other than it may explain why Australians are so blasé about everything. I mean, if the ground you’re walking on can kill you, why worry, right? Fascinatingly, Melioidosis has been considered for weaponization/chemical warfare. It’s a scary world we live in. 8. I was once bitten by a white tail spider. I have a cool scar on my leg from the bite. At the time, I just assumed I had an ingrown hair or a weird pimple, right? A week later I’m having rotting flesh carved out of my thigh. Those things are so gross! Again, it should come as no surprise that Aussie’s are blasé about injury. I’ve also been bitten by a total of seventeen red-back spiders, but that’s a whole other story. 9. Thongs in Australia are the national shoe (or should be, though I think we would have to fight Brazil for the honour and they dance martial arts while we just drink beer so I think maybe we should let that fight slide), not a string you shove up your… you know what, it’s a shoe okay? I mention this because despite being on the Perchance to Dream line I had to change an awful lot of Aussie slang to words no one here would ever use because no one else would have understood what was being said. Like doona. This is not the same as a quilt, folks. I had no idea ‘you weren’t born in a tent’ was an Aussie-ism. I do now. Australia’s a weird place. Weird people live here as a result. But that’s what makes it fun. I hope you have fun reading Fishy Riot even if it’s a tad…well, weird! 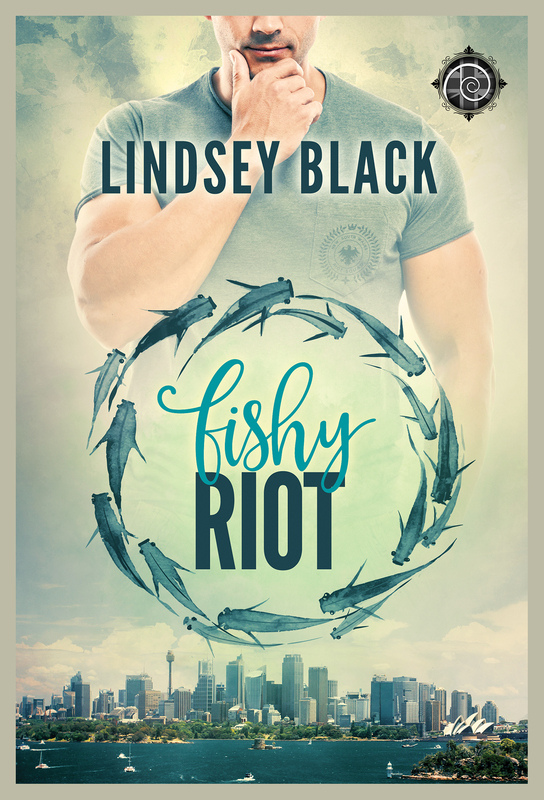 Check out Fishy Riot today!